I am using one. 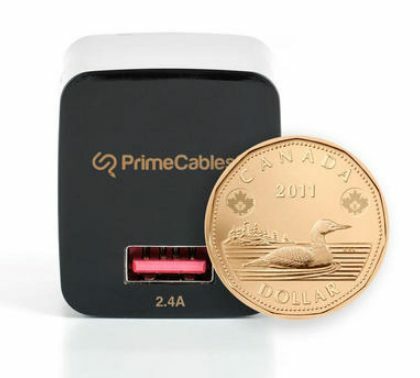 It has good quality with great warranty from PrimeCables. Small size, good power rating at 12W with large output current at 2.4A. Unlike many other cheap USB chargers with output current at 0.5A to 1.0A only. Never feel warm to touch - less chance of fire hazards. Its build quality is as good as the BlackBerry USB charger which I also use. Many will buy the ps1 classic but many will never touch it because it is a p.o.s. Many of the ps1 classic will go to landfills. Many more unnecessary plastic being produced. Many finds it way to the ocean, other lands and ultimately in to our bodies. many will wondered why and how but many are not smart enough to remember the beginning. this is the interesting one have run a rk3399 nanopi m4 off it. 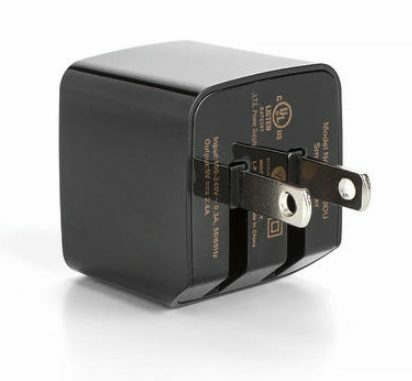 I don't mean to derail this thread, but wont a 5W/1A wall charger be cheaper for PS1 Classic? I can see a 5W/1A wall charger that's 50% cheaper at primecables than this wall charger which should work for PS1 classic. For reference, bought a 5V 1A wall charger from Primecables for $3.75 the other day. They are quite tiny, lol. I got the 4 outlet one last year and it's been working great! I even used it on a trip to China last year. And 0.99 last Black Friday. So if you can afford to wait, wait. sony sprinkled with alt left seasoning. I am using one and I like the 2.4 Amps. It will probably be cheaper in the future. Is there a USB Type C Wall Charger that is recommended and a good deal?